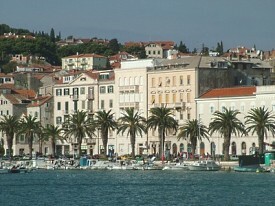 Split is a busy port with numerous ferries operating to and from nearby islands. It is also a popular resort with beaches and pleasant promenades. Venetian, Gothic and Renaissance houses and several medieval churches add architectural interest. A must-see is the old town within Diocletian’s Palace.